Faith and heroism will take on fate in this brand new action fantasy series! Hitose Yachiyo has always striven to be helpful, volunteering and sacrificing her time and energy in respect of her late Mother’s memory. When the opportunity arises to travel overseas as a relief volunteer, Hitose is quick to accept. But when her plane crashes, she suddenly awakens to find herself in a strange world of magic and mysticism. In a realm where reincarnations and fate dictate the lives of those with in it, Hitose must discover how to get home, and why a mysterious keepsake from her Mother may be more important than she ever imagined. ZOWLS is a duo comprised of Jina and Sayuki. 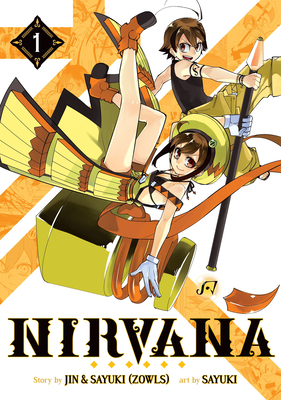 Jina is a Japanese author best known for Nirvana and his submission to the Trinity Seven Comic Anthology. Sayuki is a Japanese manga artist best known for Gekka no Hazure Gedou and Nirvana.